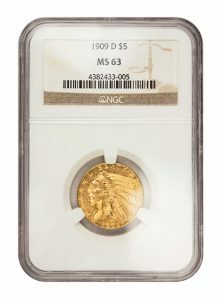 The $5 gold coin was the first gold coin minted by the U.S. government. 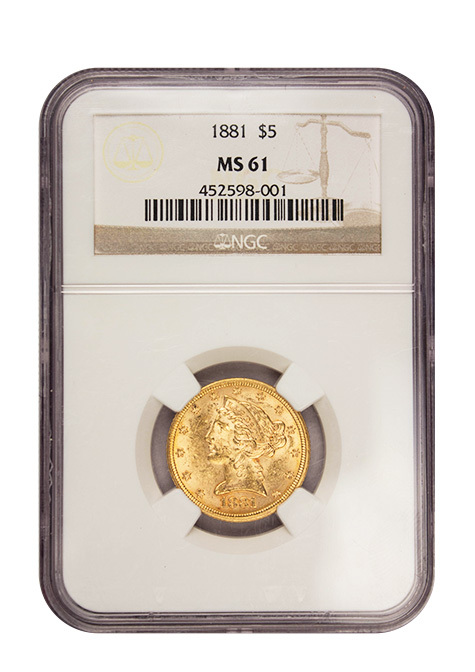 After several design changes throughout history, Christian Golbrecht designed one of the final $5 Liberty gold coins which was minted from 1839 until 1908 when the $5 Indian was introduced. 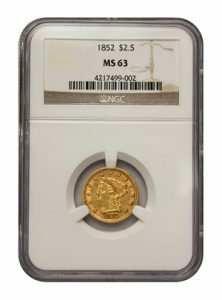 The obverse (front) of the coin is very similar to the $2.50 and $20 Liberty coins featuring Lady Liberty donning a coronet inscribed with the word ‘LIBERTY’. 13 stars representing the 13 original colonies and the date encircle Lady Liberty. The reverse (back) shows a bald eagle with spread wings behind a shield with stars and stripes. The eagle clinches an olive branch and three arrows in his talons. The words ‘UNITED STATES OF AMERICA’, the denomination and the mint mark surround the eagle. 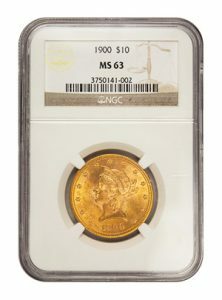 Coins minted from 1839 through 1866 do not include the motto ‘IN GOD WE TRUST’. In 1866 the reverse was modified by adding the motto on a ribbon above the eagle.